Katie Crotty is CEO of Praescient Analytics, a Virginia-based veteran owned small business that aims to revolutionize information dissemination with the latest analytic tools and methodologies. Crotty, an Iraq War veteran with extensive front-line analytic experience, recently chatted with WashingtonExec about her role at Praescient, the intersection between her military and now corporate background, female business leaders, challenges, and more. Read on below for our interview with Katie Crotty. WashingtonExec: You served in the Iraq War. How do you use that experience in your day to day operations of Praescient Analytics? Katie Crotty: I applied to join the Army when I was 17 years old and I’ve been actively involved in that community through ROTC, active duty, the reserves, and as a veteran ever since – throughout my entire adult life. My father was a medical officer before me, his father before him. Our collective operational experience has probably most influenced the way our leaders tackle challenges and solve problems at Praescient. While in Iraq, I was triple-hatted as the Brigade Fusion Officer-in-Charge, Tier One Special Mission Unit Liaison, and Brigade Strike Force S2 for, what was at the time, one of the most technologically advanced Stryker Brigade Combat Teams in the Army. What’s important to Praescient’s success is that my history illustrates only one of many dynamic problem-sets and deployments that our company’s members have experienced. Collectively we have spanned both warzones in Iraq and Afghanistan, across the unique landscape that defines every separate year in theater. This shared, yet varied, history provides us intimate knowledge of the requirements needed to stay ahead of an evolving enemy and rapid technology advancements. We are great at planning, *laugh*, perhaps best at facing crisis due to our backgrounds; but I believe it inherently makes us a better organization – both from a cultural and business lens. In short, we adapt. WashingtonExec: What made you decide to build your own company? When did it feel right? Katie Crotty: What started out as a modest offering provided by three Army veterans has grown into a $20M business that crosses the homeland defense, intelligence, department of defense, and commercial communities. Next year, we aim to double this. Why you build a company is about so much more than money, it’s about having the freedom to choose where and how you want to make an impact. It’s the greatest feeling in the world. The timing was right when we saw an opportunity to make such an impact, with a technology that we so strongly believed in, and with a team of people that make me proud to be a part of something incredible every single day. WashingtonExec: With women executives, such as Marissa Mayer (Yahoo), making headlines as of late, do you feel like women are making strides in the business world? My husband is a Diplomat with the Foreign Service and the month that Praescient stood up, he departed for a two-year tour in Bolivia. A month later, I deployed to Helmand Province, Afghanistan. And now, my husband has one year left in South America and I am eight months pregnant with our first child. The moral? A lot has changed since Praescient began, but a lot changes in life. Entrepreneurs need to know what is important to them – both professionally and personally – or they won’t be able to lead an organization effectively. The world is ripe with women making strides across many industries, and recognizing the sacrifices it entails to do so. Ursula Burns, the CEO of Xerox, is a great example of someone I admire. As the head of a Fortune 500 company, Mrs. Burns is responsible for an organization boasting more than $20 billion in sales. Despite this incredible responsibility, she advocates taking risks and trying new ideas, and defines success by more than managing a P&L! I think this, combined with her support of science, technology, engineering and math (STEM) educational initiatives, is exactly the type of forward leaning thought leaders American needs – regardless of whether they are male or female. WashingtonExec: How would you describe Praescient’s company culture? Katie Crotty: We’re a really inclusive culture and believe we need to be in order to get from good to great in the areas that we’re passionate about. One of our programs is even titled “The Initiatives Group”, whose entire aim is to think of innovative ways to make a difference. Each of our programs are named after an innovator that they think best defines their group. Our Intelligence Community Program is named after “Wild Bill” Donovan, who was the head of the Office of Strategic Service (OSS), which would later become the Central Intelligence Agency (CIA). Our Homeland Defense Team is named after Samuel Colt, founder of Colt’s Patent Fire-Arms Manufacturing Company. His innovations in the mass production and marketing of cutting edge firearms forever changed law enforcement in America. Turing, Bell, Armstrong, Maxim, Darwin… they all have homes here. Really, Praescient is all about encouraging the passion and skills of our diverse set of employees. Sometimes time the best way to do that is to start cracking open beers at 4:30 p.m. on a Friday! WashingtonExec: Have you faced any challenges as the female CEO of your small business? 1. Having an audacious dream to be a CEO before 30. 2. Having the courage to pursue it. 3. Having the patience to learn…and earn it. WashingtonExec: What have you found the most successful way of disseminating information? Do you take to social media, for instance, to share and promote news? Katie Crotty: We are actually in the midst of an overhaul to our public relations strategy. Our first year in business was really focused on getting our “core” right – our culture and our offerings. And with faith (and luck) on our side, we believed that word would get out about us – fortunately it has, but there is much to do. Although we embrace technology as a founding tool in everything we do, we’re still learning social media! Praescient is making great strides in fostering conversation between our employees, our partners, and thought-leaders through platforms like Facebook, Twitter, and our blog. Internally, we issue monthly updates and quarterly newsletters to keep the entire company up to date on our latest accomplishments and milestones. Additionally, for every organization we support our teams send weekly “Sync Notes” updating their colleagues about their progress and obstacles, so that we may collectively stay abreast of developments and quickly share knowledge or iterate on solutions together. WashingtonExec: What does Praescient pride itself in? Is there something in particular you feel very proud in accomplishing? 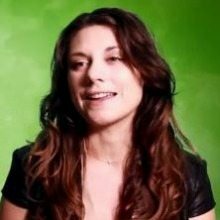 Katie Crotty: We’ve done everything from helping a billion dollar media conglomerate make better sense of their huge databases of media and photography, to exposing companies that were involved in human tissue trafficking in Eastern Europe in partnership with a global journalism group. We’ve also helped law enforcement agencies catch criminals and assisted in-theater military units to target dangerous violent groups. It’s entirely exciting, gratifying, and humbling to be able to do what we do. WashingtonExec: What is something most people might not know about you? Katie Crotty: A month after founding Praescient, I volunteered to deploy to Helmand Province, AFG to provide much needed services to the Marine Corps. Some would argue there was no less ideal time to serve downrange, but I would argue there was no more important time to prove to our employees and our customers just how serious we are about what we do. WashingtonExec: If you could change one thing about the government procurement and acquisition process, what would it be? As a company founded by military veterans, we made a point to retain what we loved about serving, specifically the unparalleled camaraderie & importance of mission. When we formed Praescient, we also made a conscious effort to shed what we didn’t believe in, which was the bureaucracy that created undue obstacles for us to achieve great successes for our nation. If we could have just selected our team and been entrusted to execute our operations, I would bet there would be a lot more people still serving in the military and as DoD civilians today. As such, Praescient’s a flat organization that allows us to focus on what we love: our people and our missions.